Westlawn Institute’s Yacht & Boat Design Program is accredited by the Royal Institution of Naval Architects (RINA), in London England. Universities and training providers whose academic and professional courses provide the knowledge and understanding which underpin the professional skills required by those involved in the design and construction of maritime vessels and structures may apply to have their course accredited by RINA, the Royal Institution of Naval Architects. RINA assesses such courses against the standards required for graduates of Westlawn to obtain full membership in RINA. RINA considers the content of the course for its scope and applicability to the design and construction of maritime vessels and structures. RINA will also consider the methods and quality of delivery of the course, and the output standards set for successful completion of the course. 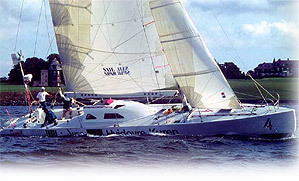 RINA considers that the Yacht and Boat Design Program provided by Westlawn Institute of Marine Technology meets these standards, and therefore provides good preparation for those who wish to practice of yacht and boat design and construction.